Not having children is on the rise in many countries across the globe. August 1st has been named International Childfree Day, with a Childfree Woman and Man of the Year Award. Yet being childless is a subject not much talked about--the focus tends to be on having families and raising children, in rural, town, or city life. Let’s talk about not having children, about what people like us do with our time, about how we spend our money, and--most of all--how we find purpose and fulfilment in our lives. Never attracted to family life herself, Lisette Schuitemaker began openly discussing why people didn’t have children and how that was for them, resulting in intimate conversations with childless women and men and surprising insights. Inspired to delve further, she interviewed non-parenting people aged 19 to 91 across the globe. She found that no story was like the other and that many had been waiting to be listened to with sensitivity. She heard stories across the spectrum, from exhilarating to painful, from people still on the fence to the childfree who have always known starting a family was not for them. Complementing her interview findings with a worldwide survey and recent research, the author paints a rich picture of the individual lives of childless and childfree women and men. This book is for everyone who has not gone the way of parenthood, who has close family or friends who lead self-directed lives without offspring, and for all those who are still contemplating this essential life choice. The stories in this book also testify that not having children of your own in no way means the joys (and trials) of children pass you by altogether. This book shows that it is ok to celebrate not only the parenting way of life and the children who come to those who love them, but also those who are brave enough to follow the lesser known path of non-parenting. — Tanith Carey, author of The Friendship Maze, What’s My Child Thinking? 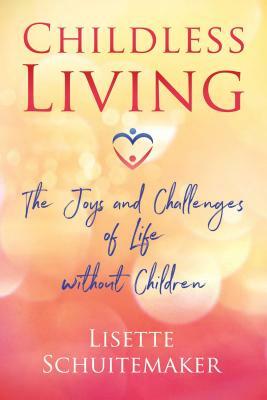 "In Childless Living, Lisette Schuitemaker creatively takes readers through the seasonsof the lives of those who have no children by choice or circumstance and offers worthyinsights for fulfilling life journeys that don’t include parenthood. It will inspire rumination and reflection, no matter what season of life you’re in!"